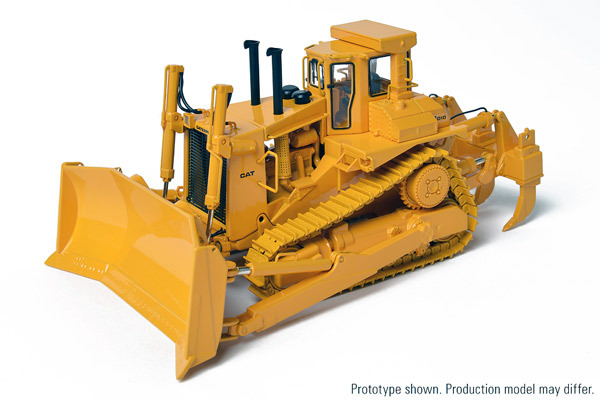 In response to a large number of requests from CCM collectors it was decided to produce a 1:48 scale, die cast model replicating the early changes made to the D10 in 1980. 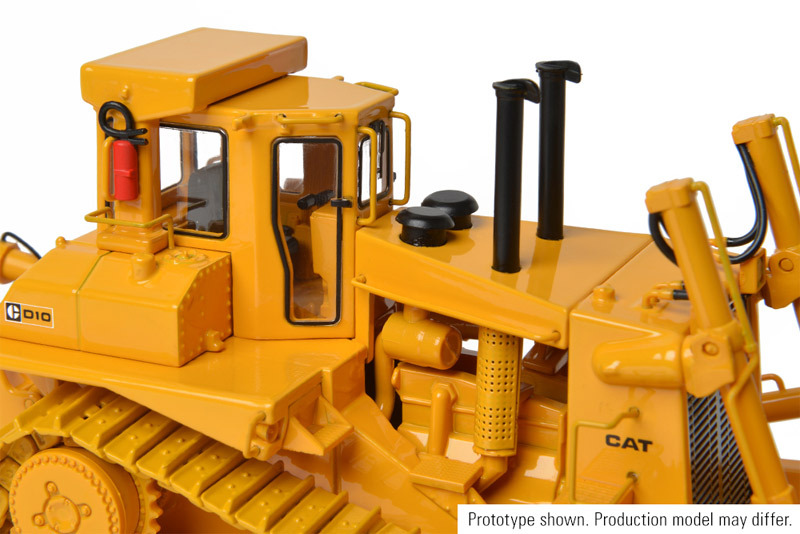 This includes the twin exhaust stacks coming through the engine cover paired with dual air cleaners. A close look will show the changes that have been made to the exhaust system, heat shields and other finishing details. 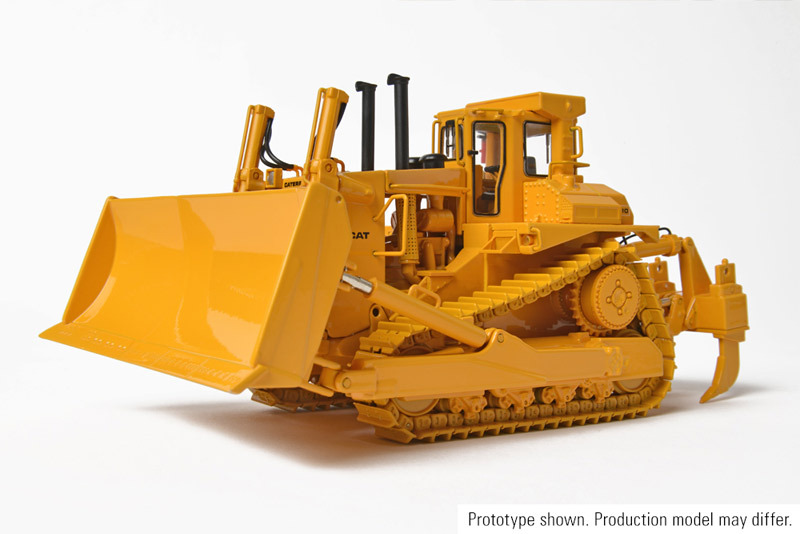 And of course, it will be loaded with features that help set CCM models apart – including a detailed enclosed operator’s cab, multi-3 shank ripper, individually-linked, free-rolling tracks, working track tensioners, functional bogeys, grab handles, fire extinguisher, hydraulic lines and work lights. 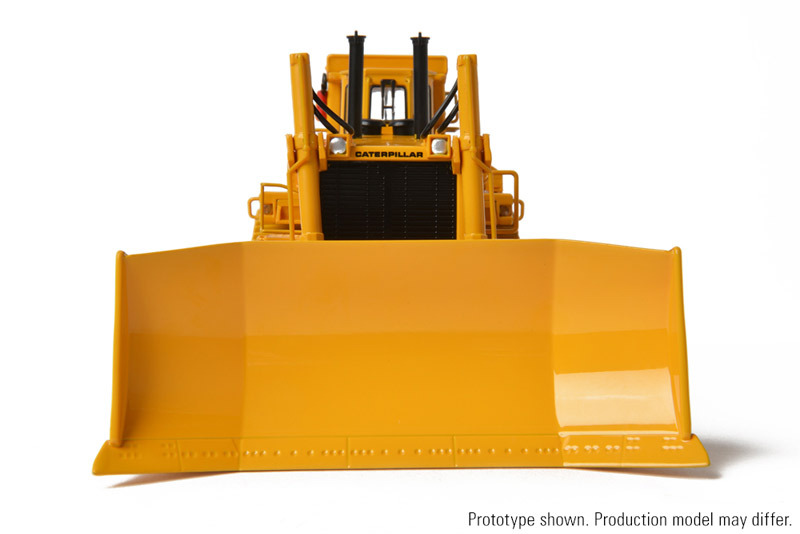 A 19 foot wide U-blade that could push 35 yards of material on the real machine has been scaled down for installation on this model. 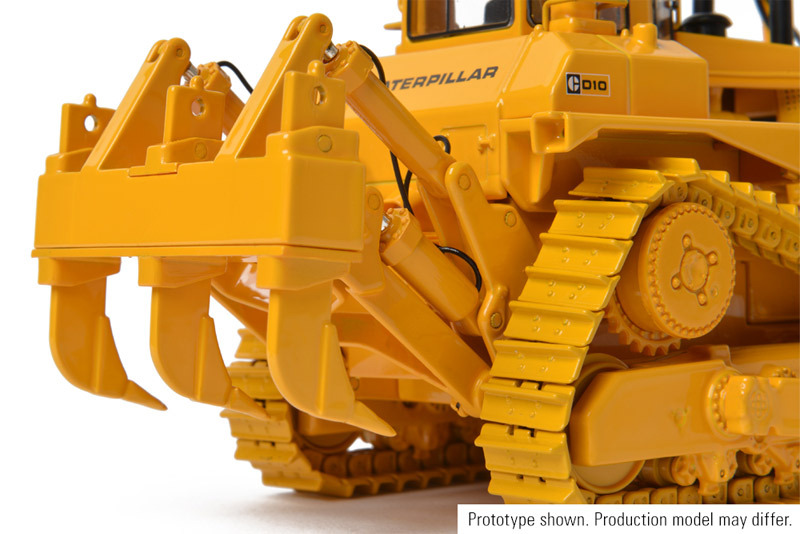 Measuring 8 1/4” long, 3 ¾” tall and just over 4 ½” wide, this model will be will be packaged in a collector quality box with an individually serial-numbered reproduction of the original machine brochure as its certificate of authenticity.